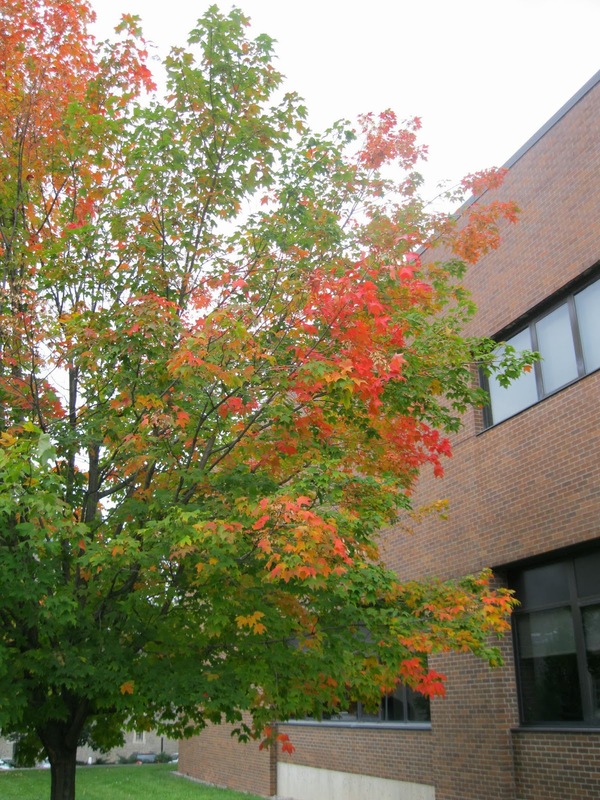 Autumn is a beautiful time of the year in Central New York. Bright sunshine, bright colors and refreshing air coupled with magnificent vistas has to make one feel good. This feeling was heightened for me earlier this week when I was on my morning commute to the Cornell Campus. The sun was bright. The sky was clear. And there was a morning mist hanging in the valleys surrounded by hills with leaves of myriad colors. Essentially all of my senses were engaged in feeling good. Not only was my vision engaged but I had also tuned into a satellite radio broadcast of a Haydn symphony. With all the senses engaged I could not help but reflect to myself that this is as good as it gets! That sense of well being and appreciation of my surroundings has continued for the remainder of this week. A walk to lunch on campus today revealed a host of different colored trees and several gorgeous flower beds. 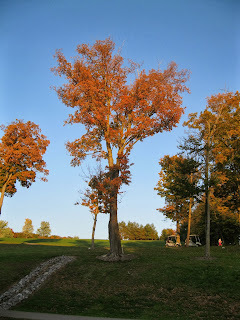 My evening constitutional walk throughout my neighborhood exposed me to gorgeous trees on our local golf course. And as I write this, I am reminded of the nuances of colors and textures of corn and soybean crops at this time of the year too. Perhaps there is the stirring of an artistic nature in my soul. Whatever that might be, I am feeling good!